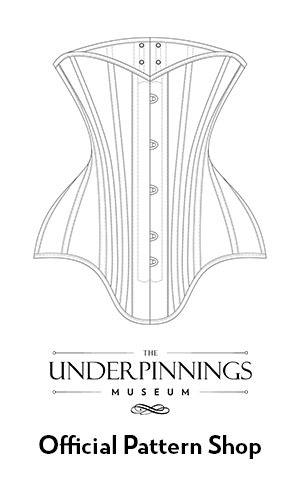 This midbust corset is constructed from a single layer of cream herringbone cotton coutil, with all panels vertically patterned. 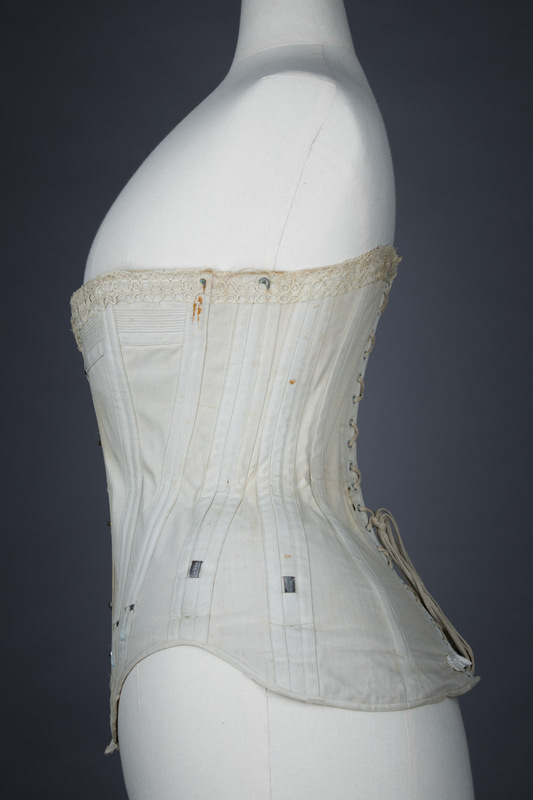 The garment is entirely supported with steel boning, with a combination of spiral steel wires and curved flat steel bones. Almost all bones are encased in exterior coutil channels. 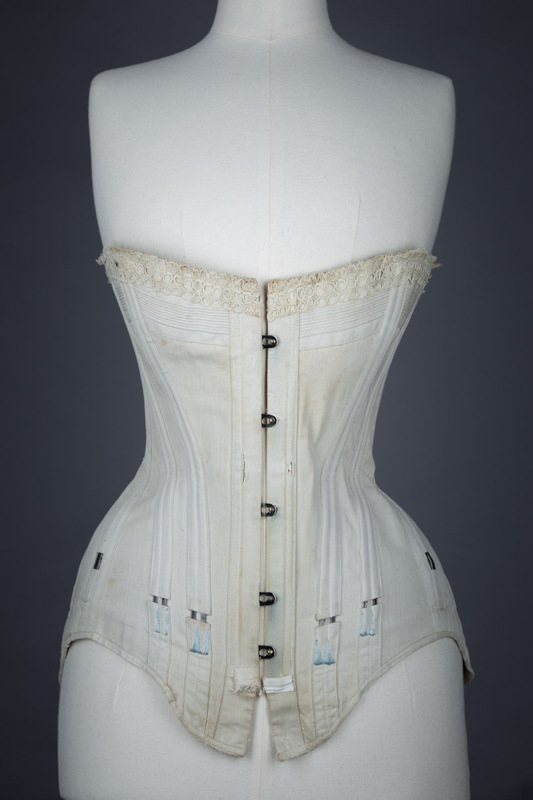 The most noteworthy feature of this corset is the fact that many of these channels are interrupted and expose a small portion of the spiral steel structure within. On the front of the garment there are two pairs of two narrow 5mm spiral steel wires. 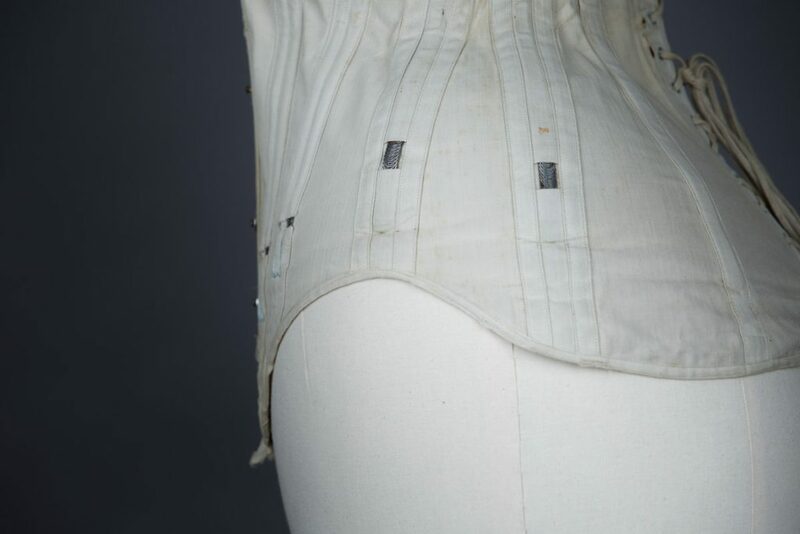 and the side of the garment has two 8mm spiral wires per side. 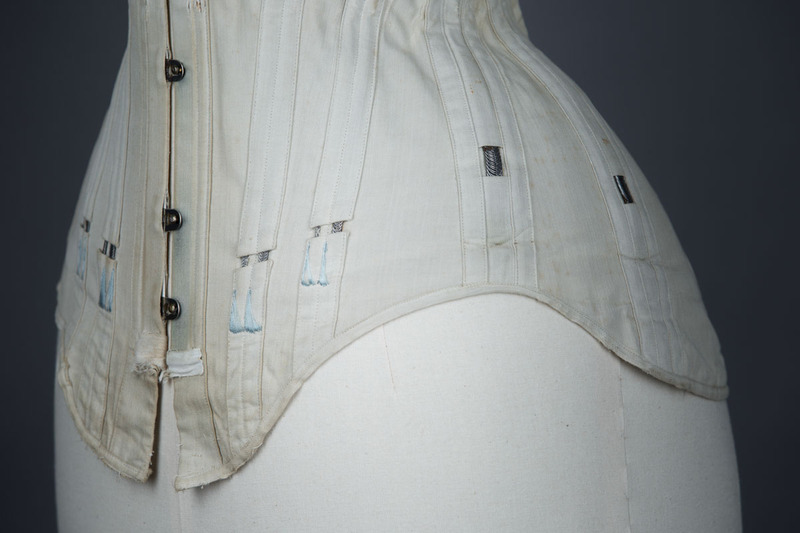 There is an additional 10mm wide, flat steel bone on the side back, and a slightly narrower 8mm wide flat steel bone at the centre back by the eyelets. 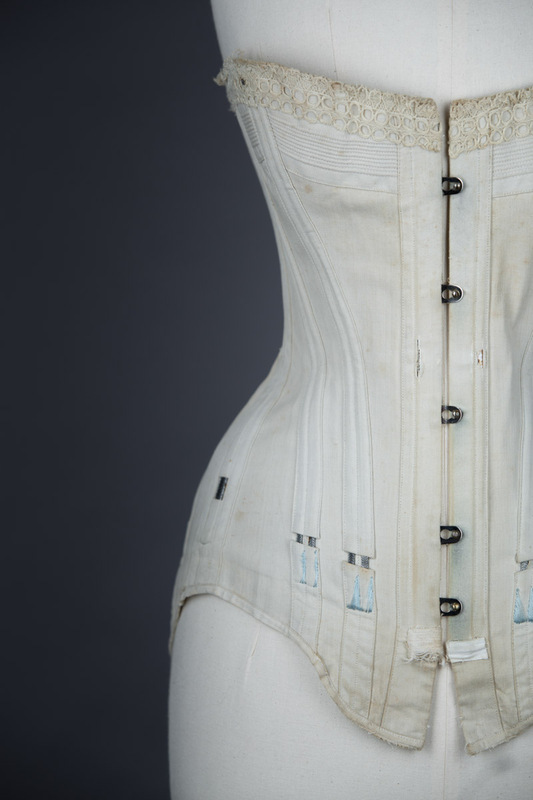 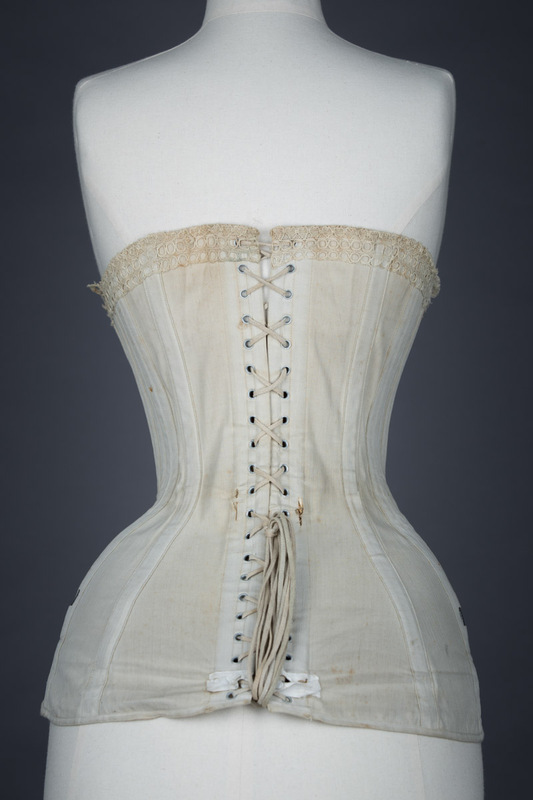 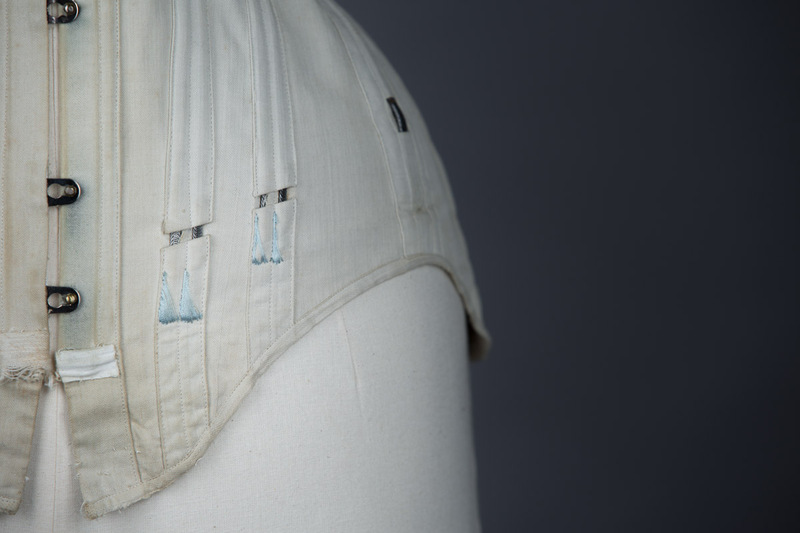 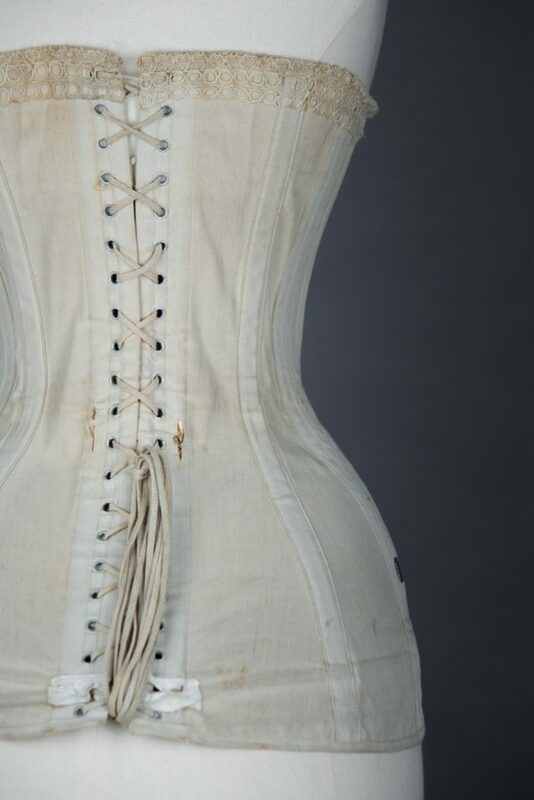 The bones do not extend all the way to the bottom of the corset, so channels are either interrupted with a row of machine lockstitch or pale blue flossing embroidery. The corset fastens with a centre front busk with 5 loops and pins, with an extremely narrow 2mm bone next to it for additional support. 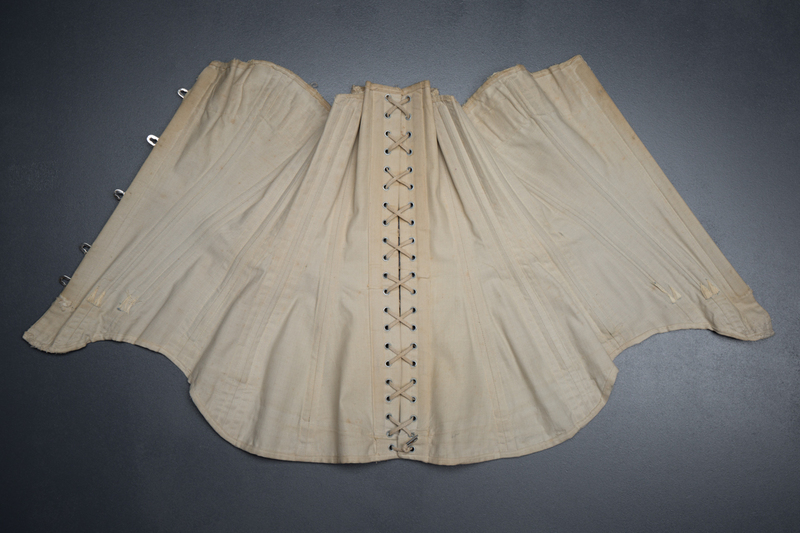 The centre back closes with its original lacing through one part eyelets. 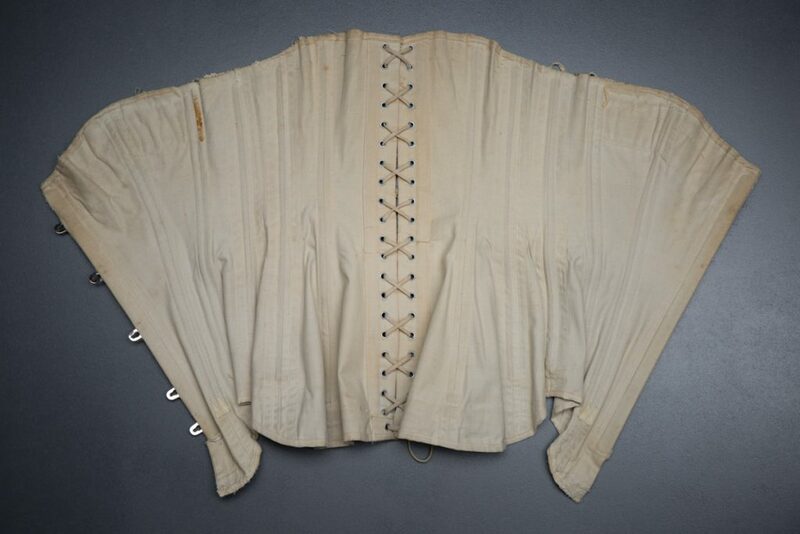 The garment has additional support at the bustline with two overlaid panels of narrow cording per side. 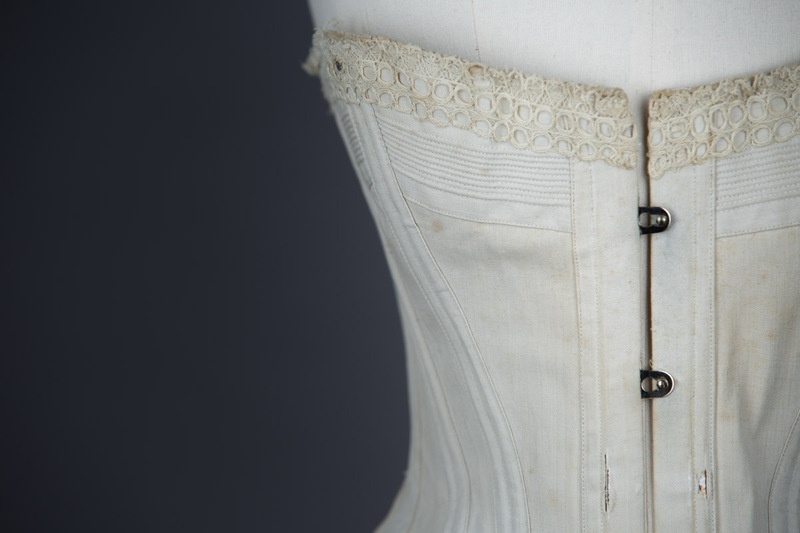 The topline is decorated through hand sewn cotton lace, and both top and bottom edges are bound with a cotton twill tape. 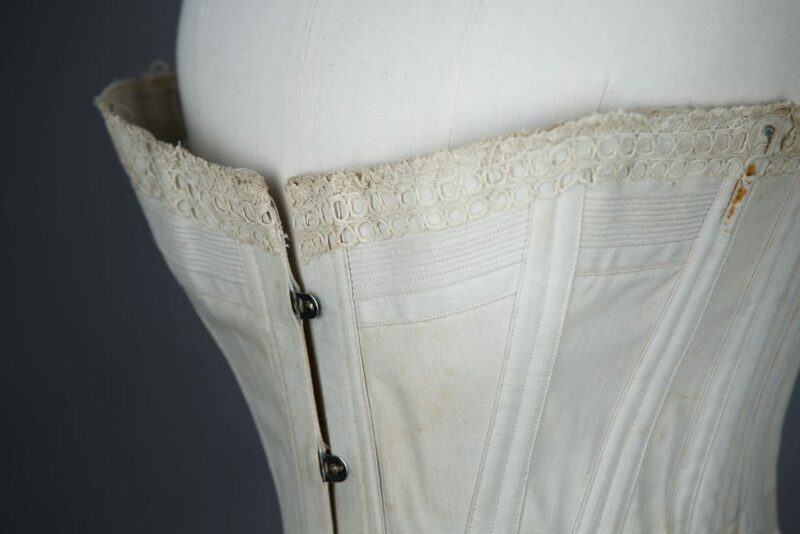 The corset is very well worn, with a number of hand repairs, including patches at the bottom of the busk and centre back bones to cover where the channels have split.